Notre Dame and got a job at IBM in East Fishkill, NY. I studied electrical engineering and was fascinated by power. I really didn’t like computers and only used them when I had to. IBM hired me as a facilities engineer installing 2,000-ton chillers, and I loved every minute of it. One day, I discovered a whole warehouse full of new computers that no one used. I made a case for needing one (I lied a little), and after figuring out how to make it work, I was soon using it to do my estimates. Word got around, and other folks had me set them up for them. It was my accidental introduction to computers. For all my misgivings, it turned out that I loved computers, too. After successful stints with IBM in their Consulting Group working for aerospace and defense clients (including heavy-hitters like Honeywell Grimes Aerospace) and then steering Chase Manhattan Bank through Y2K, my business partner and I formed our own company, IES Inc., based in Poughkeepsie. Almost 20 years later, it has proven to be a fascinating and rewarding endeavor. 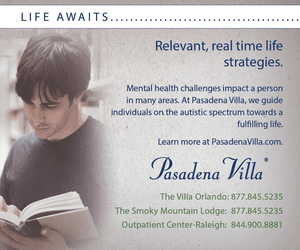 Around 2003, a friend and colleague, Gregg Paulk, came to work at Anderson Center for Autism. In 2008, he secured an invitation for my business partner and I to tour Anderson’s Staatsburg campus and school—that was when I realized the extraordinary work being done there. 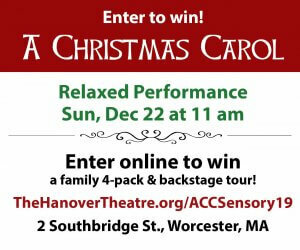 Here was an organization that worked with individuals who had profound challenges, and yet the atmosphere was so positive. I could see that the quality of life of the individuals was high, and in many cases, those lives were filled with joy. The staff was amazing. And, being an engineer, I could see that they were working efficiently and effectively. Something came over me—a kind of passion. I knew that I wanted to become involved, so I asked if I could get on Anderson’s board. I was inexperienced and didn’t know that you don’t ask to join a board—you have to be asked! However, my enthusiasm began a conversation with David Melby, who was then Board Chair of Anderson Center for Autism. Over the next year, I came to understand what board work entailed, and in 2009, David nominated me for a board seat and I was elected. If you have never sat on a nonprofit board, it’s important to first learn what type of board you are joining. A significant aspect of Anderson’s board is that it is a ‘generative’ board. We don’t just listen to reports and rubber stamp them. We look at the broader issues and future challenges and set out to solve them. Working with CEO Neil Pollack during my tenure on the board has been an honor. He is retiring in 2017, and Patrick Paul, the current COO, is poised to take the seat as CEO. I have found Patrick to be a wise mentor during my years on the board. Neil has left a great foundation, and Patrick will build on it over the next decade. A key issue we have been discussing over the past two years is measuring the Quality of Life experienced by the individuals we serve. As an organization, we have become deeply committed to optimizing the quality of life, but to do so, we needed metrics. How can we tell, with some of the toughest cases in the State of New York, if a person’s life is improving? Working with the clinical and administrative staff, we have started using the San Martin scale to measure quality of life in a number of different domains. We have all witnessed transformations in the participants in our programs for youth and adults. Now we can measure it. As a board member, we are required to visit a part of the agency once a year. So over the years, I’ve visited Anderson’s school, dayhab-without-walls, and IRAs (Independent Residential Alternatives), and over the course of these visits, I have seen the same people over and over again. I can see the progression— it’s so obvious that what Anderson is doing is working. The results can be very moving, even to an engineer like me. Last year, I was visiting a home for five of our adult men in Newburgh, NY. I met the director, and although some of the residents were going out to get ice cream, two men, Chris and Kyle, who were just finishing their dinner, offered to give me a tour. They also politely offered me dinner, which I politely declined. Out on their handsome deck, Kyle said, “Do you like our deck?” I said I did and mentioned that because it was plastic, it was likely to be very durable. Kyle asked me, “What’s durable?” I explained, and we continued the tour. Then Kyle said, “What do you think of our home?” I replied that it was very nice, well kept, and I said, “You must be very proud of it.” Kyle responded, “What’s proud?” I explained that it is a feeling. In that moment, I realized how much we take for granted. For me, that’s the reward: seeing quality of life improvements and how Anderson’s work is transformative. It is what makes being on Anderson’s board rewarding. I get that feeling of pride when I am working on Anderson’s behalf. 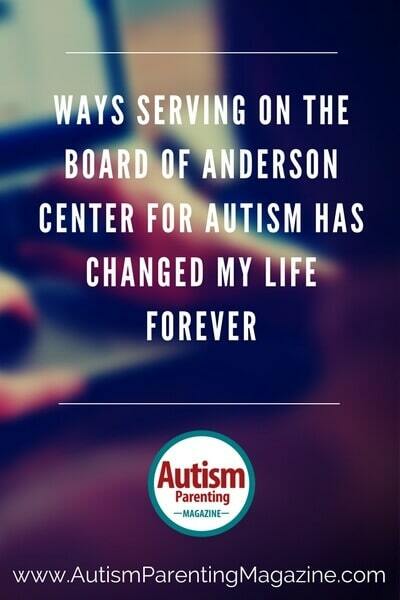 This year I have been elected to serve as Chair of the Anderson Center for Autism Board, and we face new challenges, particularly in the transition to managed care. It falls to the board to make this transition efficiently and with due consideration. We must make the change, and at the same time, help Anderson continue to move forward, innovate, and remain strong. To do this, we will need more board members. 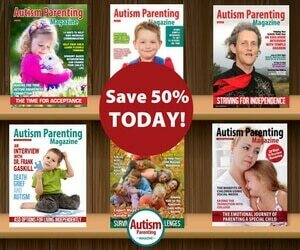 As I write, I am thinking of the parents, family, and friends of individuals with autism who are reading this magazine. You may not have considered working on the board of a nonprofit organization. But if you are like me and have an organization whose work you respect—and you feel that you have an expertise to offer their board—maybe it is time to investigate whether they need volunteers for committees, or consider expressing an interest to be on the board itself. Working on a committee (fundraising, working events, volunteering, helping with client services, or being a part of community outreach) is a very good way to get to know an organization to see if their mission ignites your passion. You do not need to be a board member to work on a committee. We welcome everyone with a commitment to making a difference. If you have professional skills—such as accounting or legal—you can be extraordinarily useful to a nonprofit board. 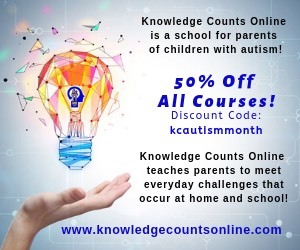 Perhaps you know lots of people in your community and can encourage them to support the organization through sponsorships, donations, or helping to organize events. Again, you will become a valued asset to the organization. In time, you may feel that you would like to take your engagement a step further and perhaps consider serving on their board. Let them know that you are interested and see what happens. Board service is a responsibility, but it is immensely rewarding. I think you will find that serving your community through committee or board service will enhance the quality of your life, as well as the people you serve. I know this, because that is what has happened to me. Eric D. Gorman is the co-founder, Executive Vice President, and Chief Operating Officer of Integrated Enterprise Solutions, Inc. (IES) in Poughkeepsie, NY. IES is a computer consulting and integration services firm specializing in providing professional services for Information Technology projects in numerous industries, including Financial, Not-for-Profit, Manufacturing, and the Semi-Conductor industry. A graduate of the University of Notre Dame, Eric has extensive industry experience implementing computer integration projects, including multi-million dollar projects with development teams spread across multiple companies. 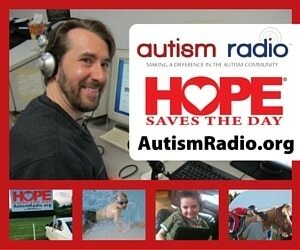 He is Chair of the Board of Trustees for Anderson Center for Autism in Staatsburg, NY.